Click on the ABP logo on top of the page to access the American Board of Pediatrics; click on the AAP logo on bottom of page to access the American Academy of Pediatrics. "We couldn't be happier. Thank you for being so amazing. I can trust the health of my children with Dr. Art at Rancho Mirage Pediatrics". Krista Timo - FACEBOOK reviewer.
" Dr. Art is smart and skilled. His office staff is very friendly and helpful every time. I recommend Dr. Art to anyone looking for a respected professional and pedaitrician". Carrie Patterson - GOOGLE reviewer.
" Dr. Quintanilla did an amazing job with my son's circumcision. He was very kind, took his time and very caring. I would recommend him to anyone looking for a great pediatrician". Megan S. - YELP reviewer. And WE at RANCHO MIRAGE PEDIATRICS are very appreciative !! At Rancho Mirage Pediatrics, Art Quintanilla MD, FAAP offers comprehensive medical care for infants, children and adolescents. Conveniently located in the city of Rancho Mirage in the heart of the Coachella Valley in Southern California, our courteous and knowledgeable staff works hard from first contact to make every visit to our office positive. Whether it's your child's first visit to our Rancho Mirage, CA office, or just a routine well–child checkup, we strive to make sure you and your child are always comfortable and informed. We take the time to talk with parents to help you understand your child's needs, and we equip you with the knowledge necessary for promoting a lifetime of optimal health and wellness. To help you get acquainted with the practice, we have provided the important information you need on our website. Please browse these pages to learn more about our skilled providers, services, office details, commonly asked questions, new patient forms and even to request an appointment. Dr. Quintanilla at Rancho Mirage Pediatrics believes exceptional care is obtained when there is an on–going relationship between the doctor and patient. We want to be lifelong partners in your child's health. We achieve this goal by listing to your questions and concerns, and educating you on how to promote a healthy lifestyle for the entire family. 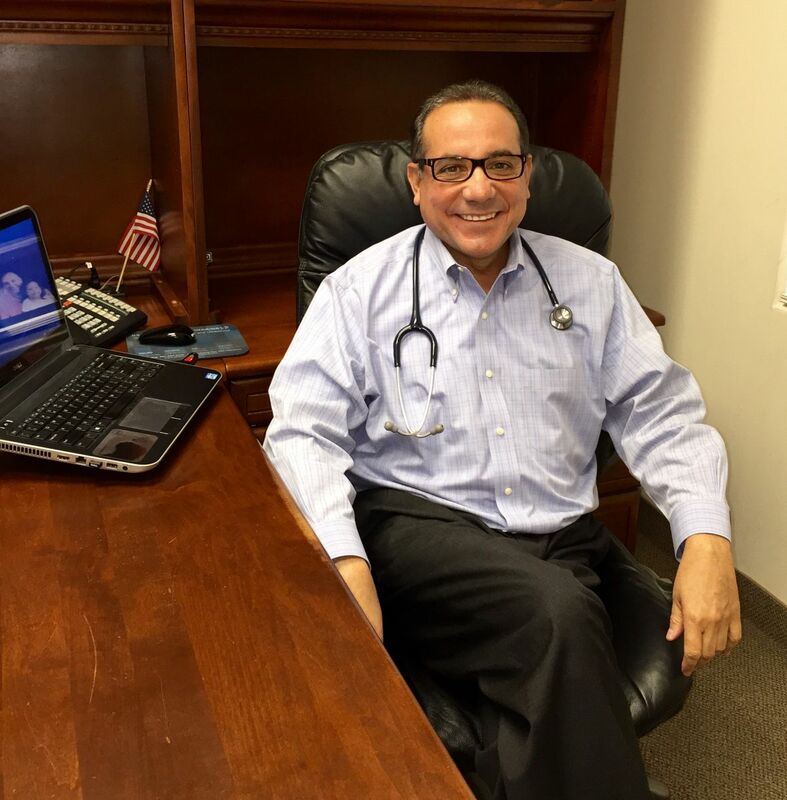 When you choose Dr. Quintanilla at Rancho Mirage Pediatrics you can feel confident that you are teaming with a knowledgeable, compassionate doctor who has dedicated his career to child–focused health care. Please do not hesitate to contact our office with questions or concerns. Dr. Quintanilla and his nurturing staff look forward to meeting you and your family. Finally, we look forward to sharing us on Facebook and follow us on Twitter, and we welcome you to publish your comments in our blog. Dr. Quintanilla is a board certified pediatrician with 23 years of experience devoted to the training and practice of General Pediatrics and Neonatal Medicine; he received his MD degree in 1988 from the University of EI Salvador, and after immediate successful completion of US National Medical Board Exams equivalents he then started in 1988 his residency training in General Pediatrics at Maimonides Infant's & Children's Hospital of Brooklyn I State University of New York -Downstate Medical Center, located in Brooklyn, NY; and after completing a 3-year pediatric residency in 1991, Dr. Quintanilla then continued with further training with a fellowship in Neonatology at Miller Children's Hospital at Long Beach Memorial Medical Center I University of California-Irvine Medical Center located in Long Beach, California. "I've gone to Dr. Art since my daughter was 18 months old and she is now 10. I've always found his staff very friendly and helpful. They've always fit me in when the kids are sick or if I have some concern. I feel very comfortable in this practice". Diane Novack - GOOGLE reviewer.